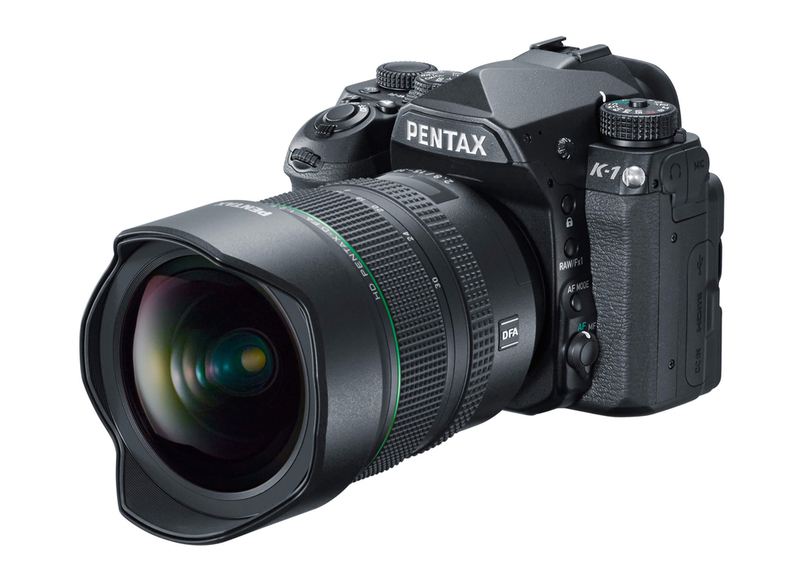 The K-1 is the long-awaited full-frame DSLR from Pentax. Aimed primarily at its existing users, but also to other full-frame newcomers, it sits somewhere between the semi-pro and pro class of full-frames. The new Pentax flagship features a 36.2 Mpx full-frame sensor with impressive specifications. This is the first time that Pentax has released a camera with a full-frame sensor. Which is actually somewhat ironic, since it was Pentax back in 2001 that first started developing a first-ever full-frame DSLR. This was way before Canon or Nikon introduced their first full-frame. Unfortunately, the product got scrapped due to “too expensive production costs”. Ever since then, Pentax has been in the market of APS-C DSLRs, as well as compact and medium-format cameras. 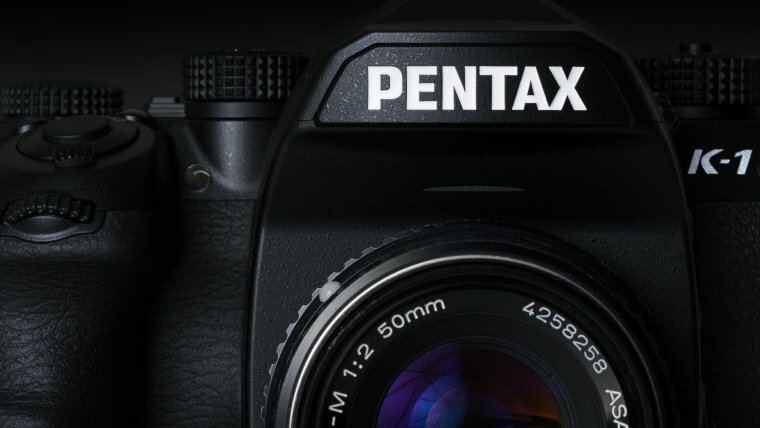 While they’ve only grabbed a small piece of the APS-C cake, Pentax has managed to build quite an impressive base of loyal customers and a respectable reputation in the industry in general. For those unfamiliar with these terms, we will explain. 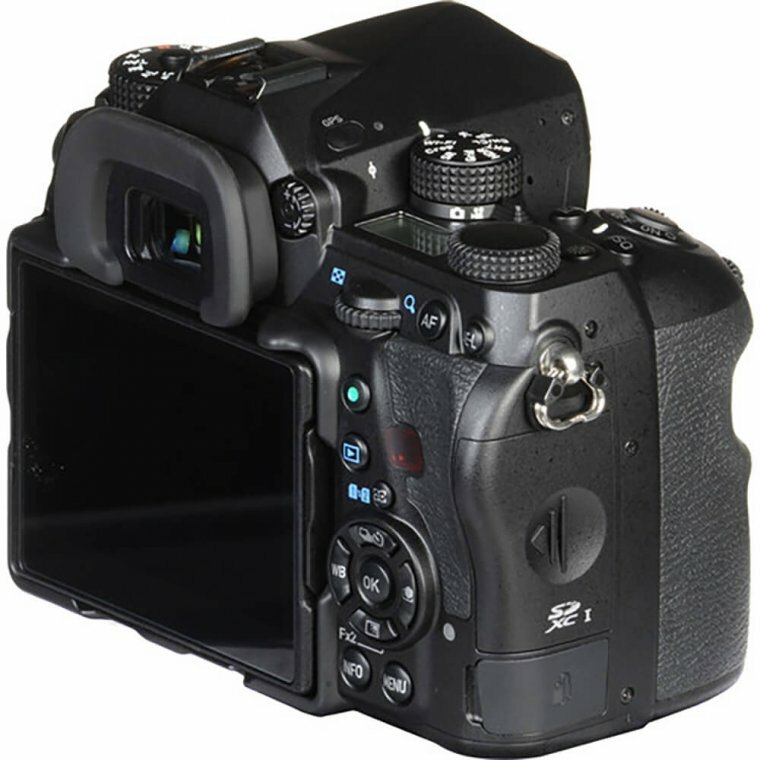 Full-frame is a term used to describe the sensor format used inside of DSLRs (Digital Single Reflex cameras), which has the same size as a 35mm format film. 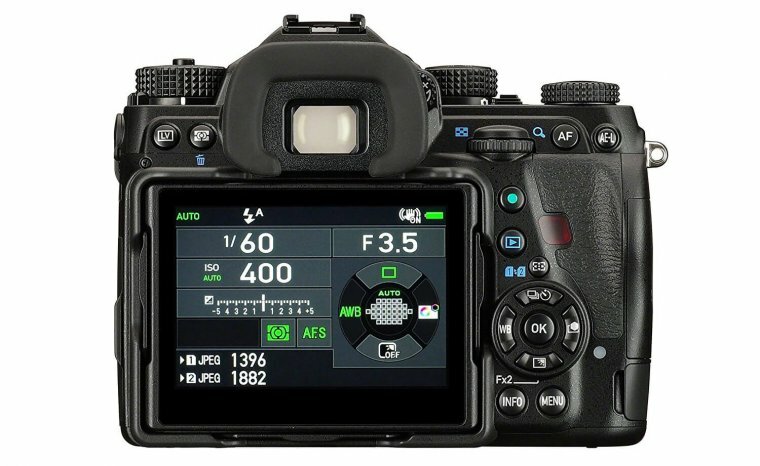 Full-frame sensors are typically reserved for professional-oriented DSLRs, while the majority of digital cameras today use sensors of a smaller format than 35mm, such as APS-C. In comparison to APS-C sensors, full-frame sensors offer superior image quality, wider field of view, better dynamic range, better color reproduction and better low light performance. This is important to understand for potential K-1 users since much of the Pentax lens were designed for APS-C sensors. Luckily, this lens can still be used on the K-1, but the difference in sensor size has its downsides which we will address later on. The original "K-1" was supposed to be shipped in 2001. It never was. But this year, 15 years later, Pentax surprised everyone by announcing its "first" full-frame. After two more months of waiting, in April 2016. the K-1 was released. 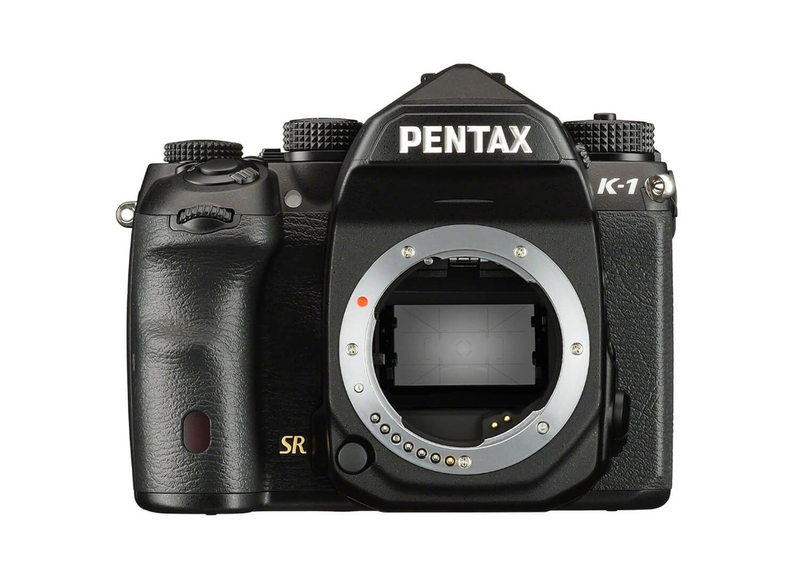 While it's predecessor's fate was sealed long ago, K-1 promises to be the complete dream come true for Pentax fans. The crowd is very tough for Pentax, and success in the DSLR market depends on much more than the camera itself. One of the most important factors a user is considering when choosing a DSLR brand is both quality and quantity of compatible lens which are available for purchase. This is where the veterans like Canon and Nikon have the best advantage. They've been in the business for a long time and have accumulated a super wide range of various lens available for their DSLRs. The problem for Pentax's K-1 is the steadily-expanding, but limited range of the compatible full-frame lens. Good news is, all your APS-C lens will still work fine with the K-1, but with a downside of producing just around 15Mpx images, instead of the full 36.2 Mpx. In this review we will see just how much muscle can Pentax deliver at its best, we will check how the K-1 performs against competitors and whether the feature-packed camera and its affordable price tag can be enough to draw new users to Pentax. We have found the K-1 to be very well designed, with no complaints whatsoever. It features a well-balanced design both in size and weight. It is lighter and more compact than most rival APS-C and full-frame DSLRs, including the 50-megapixel Canon 5DS R. Of course, it is still heavier than full-frame mirrorless cameras. Despite its compactness and relative light-weight, the K-1 still packs a high-quality magnesium-alloy body, which is heavily weather-sealed all over the body. Pentax is known for its weather-resistant bodies so you need not worry about splashes, rain, snow, etc. Buttons and dials are all conveniently positioned for maximum comfort and ease of use. The grip is very comfortable for both users with larger and smaller hands. Short of using controls on the rear of the body, it can be easily used for one-handed shooting. This, of course, depends on what type of lens you choose to mount and the added weight it introduces. The on-screen settings of the K-1 remain very similar to what we have seen with previous Pentax DSLR’s, with a few novelties. We still have the familiar five sections of the options panel; for stills, movies, playback, settings setup and custom settings. On the top, you will find two main dials which are heavily customizable resulting in what is effectively a third dial, or a way to control three camera settings simultaneously. 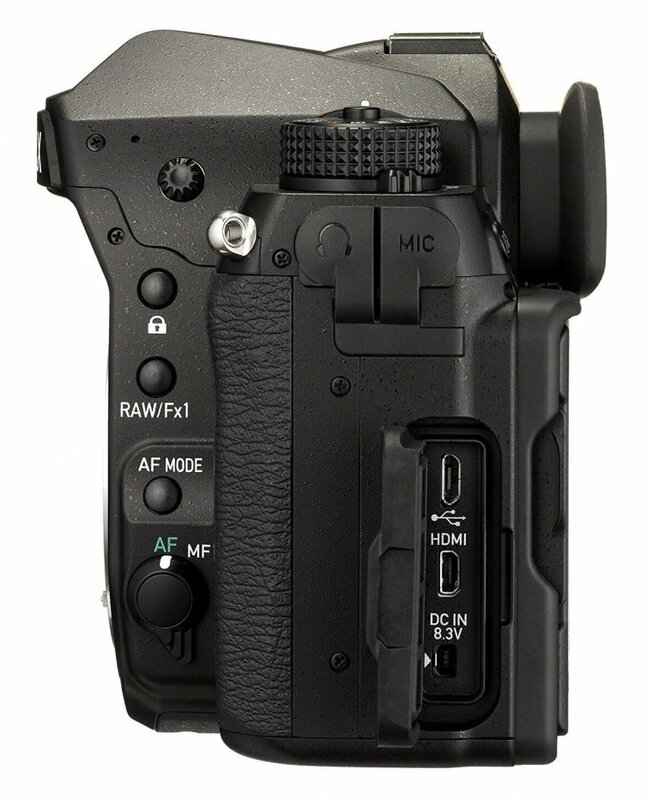 This is quite different than what we have seen on previous Pentax cameras, and quite intuitive too. The standard four-way controller on the rear now has double functionality, allowing for control of AF points when in AF mode. This double operation has been introduced to compensate for the lack of a dedicated AF control button. 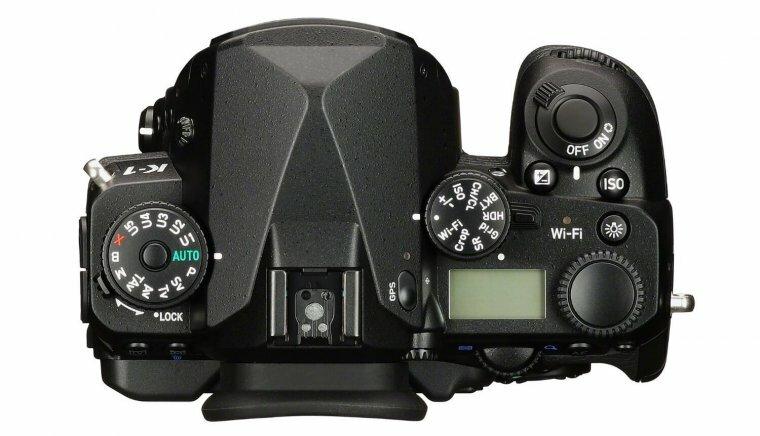 On top of everything above, Pentax has added two more fully customizable buttons. Overall, Pentax K-1 has just the right amount of customizability, without going overboard with options and overwhelming users. The K-1 comes packed with all kinds of interesting features, some of which are expected of any DSLR in this class, while some other present an impressive boost for a full-frame DSLR in this price range. The list of expected features includes high-end image stabilization, reliable and precise Auto Focus system, high-quality weather-resistant body, among others. 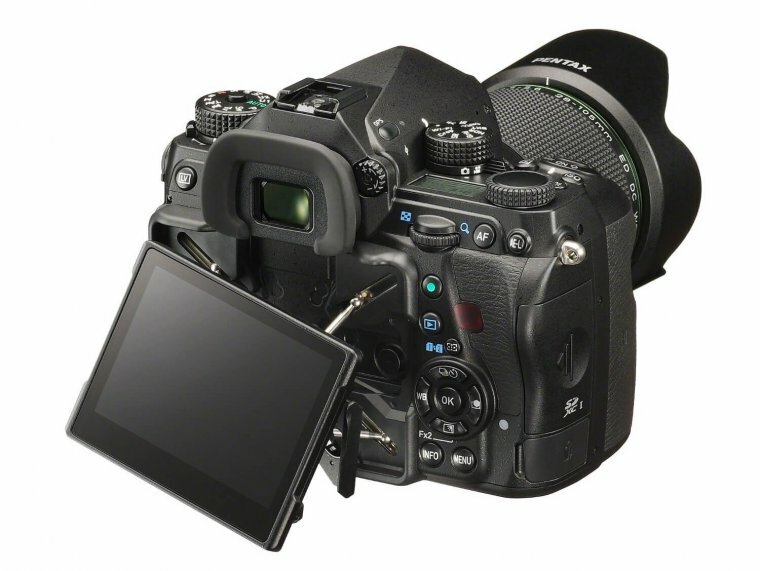 Among the features which set the K-1 apart from rival DSLRs, is the unique LCD screen and the upgraded Pixel Shift Resolution mode. Pentax wouldn’t be Pentax if they didn’t go an extra mile by packing advanced and somewhat unique features to give them a push in attracting customers. This is not surprising since they do have a bit of gap in the lens department, which has to be compensated for in some way. We will start with the unique LCD screen – a cross-tilt 3.2″ LCD touchscreen. Cross-tilt means you will be able to rotate the screen in more angles than usual. It doesn’t just rotate up and down around a single axis (and then around a 2nd one once it’s flipped out) like most tiltable screens, instead, it resides on four rods which make it possible to pull the whole screen outwards and then tilt it left – right and up – down. We can appreciate the added flexibility, but it does come with a bit of a downside – you won’t be able to rotate it full 180°, which means no selfie preview and no closing the screen with the screen down for additional protections. The former may not be especially important since anyone who is going for a full-frame DSLR probably doesn’t have a selfie in mind as a priority. However, closing down the screen during transport is something I always use if possible, and is a small tradeoff in this case. Having a tiltable screen is a huge advantage and more often than not, a picture-saver. It is an extremely practical feature. It is most useful in situations where you need to capture a photo from an unusual angle, such as low-angle feet perspective, or high angle above-the-head perspective. We would expect all pro-grade cameras to have this feature, but unfortunately, that is not always the case. With Canon 5DS R or a Nikon D810, you would have to actually lay down on the ground to take a photo from a low angle, and even then, the composition might not be right because it forces you to an uncomfortable position. With a tilt-screen, you are sure to see the screen clearly and it actually helps you make a better photo. Pentax Pixel Shift Resolution (PSR) technology makes use of several images to combine them and output a single file with higher resolution. PixelShift records all RGB (Red, Gren, Blue) color information for every pixel. The process significantly increases the sharpness of details. 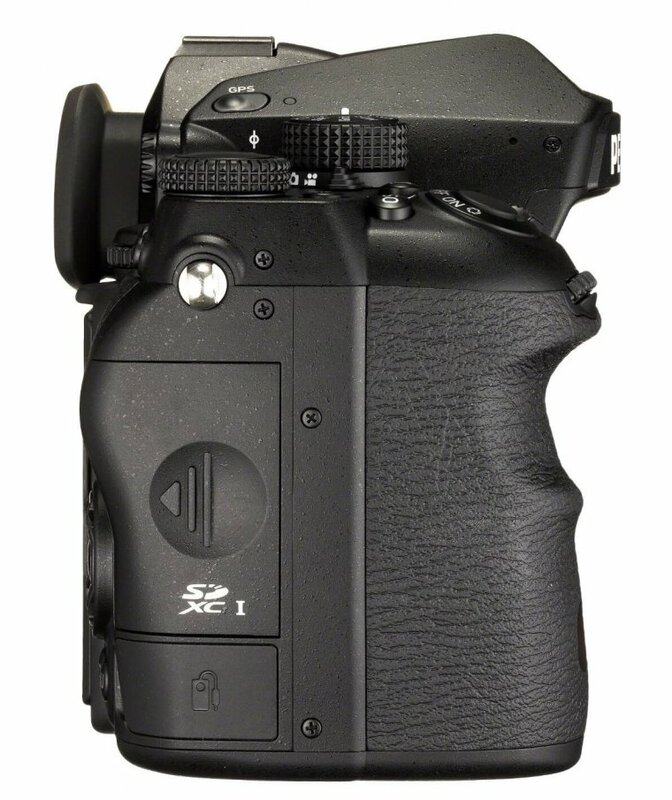 PSR was first introduced by Pentax back in April 2014. when they launched the K-Pentax K-3 II. Similarly, with HDR which also utilizes several consecutively captured images, this technology is not very good when shooting moving subjects. At least, it wasn’t until K-1 came around and with it the ability to compensate PSR for moving subjects. 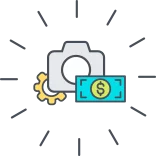 The way these compensation works is actually simple – the camera identifies and simply ignores the moving parts of the image, applying PSR only to static parts. The result is surprisingly good – the moving parts of the image will not benefit from PSR, but will still have the “normal” sharpness and detail, and the human eye naturally expects anything moving to be a bit softer. Again, this kind of, should we say, bonus features is the way Pentax rewards new and existing customers for their loyalty. Market-wise, Pentax has a long way to come in order to catch up with Nikon and Canon, and that is exactly the reason why they have to over and above to somehow offer more than current market rules. That is not to say we don’t appreciate every small but useful unique addition because we very much do. This is the way technology goes forward – innovation and competition. Image stabilization (IS) generally comes in two forms; lens stabilization or sensor stabilization. The latter is also called IBIS (In-Body Image Stabilization). Pentax is known for its sensor stabilization technology which it calls Shake reduction and in the case of K-1, we’re talking about 5-axis sensor stabilization. It works great. In fact, we’ve found that in the vast majority of cases, it works considerably better than lens-based stabilization which is used by both Canon and Nikon. Other than the sheer quality of Pentax IBIS, there several other reasons why it is a more logical and practical choice compared to lens stabilization. The most obvious advantage is, of course, the fact you will have IS – always. No matter which lens you use, the image is stabilized in the sensor, so you know you’re always safe and can opt for a lower shutter speed. Many Canon and Nikon lens don’t have IS, be it because they are older or cheaper lens, which as obvious disadvantage. Furthermore, it is a known fact that simpler lens, i.e. fewer optics inside, means a sharper picture. That is why the prime lens is generally sharper than zoom lens – zoom lens has more complex insides. The same goes for when IS elements are introduced into the lens – resulting in softer, more expensive and heavier lens. This is a neat little feature made possible by the sensor stabilization. Basically is straightens your photos horizontally in case you missed an angle. Your photos will always be properly aligned with the horizon which saves a few megapixel you would normally dispose of while correcting the angle by cropping in post-processing. Don’t worry, it only corrects in small degrees and won’t force-align your shot if you’re purposely shooting at an uneven angle. Astrotracer ensures you get a clear picture of the night sky and all its stars by using GPS to locate your position relative to the rotation of the stars, rotating camera sensor to match. This allows you to use longer shutter speeds for astrophotography, which means more light and less noise. Genius! Aside from its usefulness in astrophotography, the K-1 will automatically embed GPS information into the photo file. This means once you import your photos into Lightroom, you get to see a map of where all your photos are taken. This is especially useful when you shoot a ton of photos on a trip and you want to find a photo from the specific moment, you just find the location on the map and you see your photos from that moment. Talk about time-saving! Pentax K-1 has built-in WiFi and a dedicated Pentax WiFi app for your smartphone. This is an awesome addition to any DSLR, allowing you to share or transfer your photos instantly to your PC, cloud storage or a social network. Additionally, using the same App you will be able to see the live view from your camera, change camera settings as well as record photos and videos remotely. Pretty awesome, right? This is not something we can do with our Nikon D810, for example. However, not everything is blossom flowers, since the app in question is not exactly well designed. The interface is somewhat unintuitive and the whole app can be relatively slow. Still, it’s better than nothing. The K-1 autofocus (AF) system is a newly designed 33-point SAFOX 12, which as a solid upgrade from the APS-C variant SAFOX 11. It boasts 33 phase-detect AF points, out of which 25 are cross-type. The central point, along with the two points above and below it is designed to work better with a wide-aperture lens, down to F2.8. They are also more sensitive to light, enabling clear focusing down to –3 EV. Overall, the AF system is rather fast and accurate, with performance comparable to that of competitor cameras. When shooting continuously, the AF does a pretty good job of tracking moving subjects, as long as they around the center. It does have trouble with tracking more challenging subjects if they’re near the edge of the viewfinder. This is because all AF points are clustered in the center, in a square shape. There is also the AF assist lamp, which automatically kicks in when you try to focus in the very dark environment. We’ve found it considerably helps with focus speed and accuracy and even enables focusing in pitch-black darkness, as long as the subject is not too far away. While the Pentax K-1 does not offer 4K video, those who find traditional 1080p Full HD satisfactory, and do decide to record videos, should be pleased with the results. Obviously, the lack of 4K video resolution in 2016. Is unimpressive, especially when you consider this is a high-end camera and that there many much, much cheaper cameras which do offer 4K video, although those are in a different class altogether. Still, for many situations, 1080p will do the job, and there other, perhaps more important aspects of video quality to consider. To this end, we have found the K-1 to provide sharp, colorful (though not overly saturated) video, with accurate and reasonably fast continuous autofocus, as well as nicely-stabilized footage thanks to the 5-stop built-in Shake Reduction. If by any chance video capture is your primary use for a DSLR, then no, we would not recommend Pentax K-1. Not because it’s bad for the video, but because there are better options for videographers out there. Canon is known for producing DSLRs which generally deliver great video performance and quality. However, if your primary concern is shooting stills, with an occasional video capture, and you don’t necessarily need Ultra HD resolution than Pentax K-1 will do just fine. While the K-1 is a beast of the camera itself, what is a DSLR without its lenses? Lens selection for Pentax K-1 is relatively limited. This is definitely the main issue with choosing a full-frame Pentax, and possibly the only real downside that comes with it. We shall inspect the current situation with full-frame lens options for this camera and all the viable alternatives. Searching through the unofficial Pentax Lens Database over at PentaxForums shows a list of exactly 15 modern, full-frame AF lens compatible with Pentax K-1. The list does cover a wide range of focal length, almost everything from 15mm to 560mm. This list expands if you add other Pentax and third-party lens which is compatible with K-1 but is not designed with full-frame in mind. Looking at options, you will find there are two main types of Pentax lens; Full frame (FA) and APS-C (DA) lens. Recently, Pentax has introduced the new series of D-FA lens, which is the digital-optimized full-frame lens. All these compatible with the K-1 one, but the FA lens is the ones you should always choose first if possible because they are designed specifically for full-frame sensors and will utilize sensor’s full size. Opting for DA lens with the K-1 means that lens will operate in a cropped mode, utilizing only part of the full-frame sensor, and producing only a 15.3 Megapixel (MP) images. This is because DA lens is designed for APS-C sensors which are cropped, meaning they are significantly smaller in size than K-1’s full-frame sensor. Apart from the fewer pixel count, images retain all other qualities, including the option to save them in raw format. All DA lens feature either silent or standard AF. All Pentax FA and D-FA lens produce impressive results and are capable of competing with those of competitors. In conclusion, while Pentax’s lens collection does cover a very wide focal length range with a quality lens, most of which are weather-sealed (WD), including some excellent primes as well as zooms and Macro lens, compared to Canon or Nikon, options remain very limited. For example, on average, for every single Pentax full-frame lens, Canon can offer up to 15 or so equivalent alternatives. This, of course, adds massive flexibility when it comes pricing and other factors. Unless you already own a range of Pentax FA lens from the SLR days, covering the whole focal length range can be quite an expensive endeavor. Image quality in photos produced by the K-1 is generally of excellent quality. You will find them to be very sharp and clean, with good color reproduction and just the right level of saturation. The sensor seems to be identical to that of Nikon D810 as far the sharpness and noise handling goes, and even slightly better than Canon 5DSR in a number of visible details. White Balance performs reasonably well, with occasional misses here and there, depending on the scene. We recommend manually choosing White Balance options since Auto White Balance is not always correct. Add to this PSR technology which we previously mentioned, and you will be sure to get some impressive photos with this DSLR. Dynamic Range performance is solid with default settings, but there are options for expanding it further. If you want to get more out highlights or shadows, there is a D-range highlight and shadow compensation, respectively. Interestingly, you can also record reliable HDR photos without using a tripod, thanks to the excellent built-in Image Stabilization. You can choose automatic HDR which means the camera will automatically merge and align the photos for you, or you can simply choose the desired bracketing option and merge the images later on manually. There also several other HDR settings, including HDR1, HDR2, HDR3 and Advanced HDR. Included in the camera settings there is a wide selection of various custom photo settings, digital filters, and shooting modes. Pentax K-1 supports ISO range from ISO100 to ISO204800. Expectedly, images taken with ISO100 are virtually noise-free, and the same could be said for ranges from ISO200 to ISO3200, although If you were pixel peeping you could find some noise at ISO3200. ISO6400 has very little noise and still produces sharp detailed photos. At ISO12800 results are still impressive, there is noise but only in form of film-like grain, and not too much color noise. 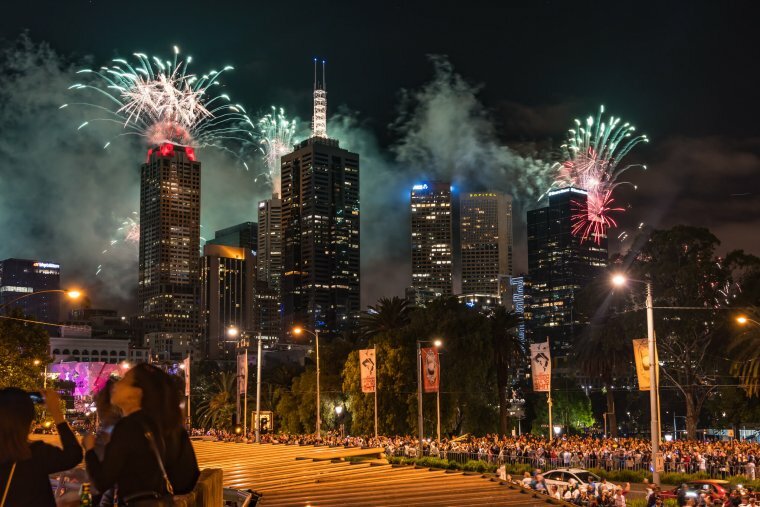 Going up to ISO25600 noise becomes to seriously degrade image quality, but photos are still good enough for online usage and even print, provided you manually apply noise-reduction in post-process raw editing. At ISO51200 images are just barely usable, but definitely not for large size output. We recommend avoiding ISO102400 and ISO204800 altogether. It is worth noting that there are options for different noise handling modes. This includes automatic modes such slow shutter speed Noise Reduction (NR) which utilizes shutter speeds slower than 1 second to minimize noise. Be advised that this setting will not work well with moving subjects and use of a tripod is recommended. You will also find other modes, including High-ISO NR with different levels of intensity: Auto, Low, Mid, High, and Custom. Custom enables customizing the level of noise reduction for each of the ISO settings. For example, it would be a good idea to apply minimal noise reductions for ISO100 – ISO3200, since these settings will be more or less noise-free by default, and avoiding forced noise reduction will ensure details sharpness will be at its best. Pentax K-1 is without a doubt a superb full-frame DSLR, offering excellent image quality comparable to the best of competitive DSLR from other manufacturers. On top of that, Pentax went a few extra miles to provide users with a range of intuitive and useful features, many of which are lacking even in the pro range of Canon and Nikon DSLRs. While we are certainly impressed with the K-1, it is not without its flaws. Performance in terms of focusing speed and continuous shooting can be problematic, even though this is partly due to large file sizes which are unfortunately unavoidable when recording photos at such a high resolution, especially in RAW format with PSR technology enabled. We would strongly recommend using the K-1 for landscape photography, but also for portraits in a controlled environment (not requiring very fast, repetitive shooting). While it can do a decent job at tracking moving subjects, it is definitely not the best or the fastest for sports or wildlife photography. In the lens department, Pentax does have a large offering of the different high-quality lens which will cover most if not all possible needs of just about any photographer. However, the lens range is still limited compared to competitors such as Nikon and Canon, who not only have lens for every situation but also provide many more alternative options, which can come in handy for people on a budget or those who simply want to have more options. Whether or not this camera is for you, depends largely on where you are coming from. In case you’re an owner of an existing Pentax DSLR, possibly with a collection of Pentax lens, and you are looking to upgrade to a full-frame than you are definitely the right customer for the K-1. In shortest terms, it is a dream come true for many existing Pentax fans. However, if you are a long-time Canon or Nikon user, then you probably already own much of their equipment, including various lens, in which case it would be very costly to switch to Pentax now. For any photographers who are starting afresh with a full-frame DSLR, we can recommend Pentax K-1 as much as any other high-end DSLR, as long as you keep in mind the potential downside of the limited selection of available lens. Photography is an art form, so we are bound to feel some sentimentality when reviewing our main tools of the profession. What we mean to say, it’s not all about specifications and technicalities, even though Pentax K-1 proves good in those areas, it also comes with somewhat of a special feeling of being different than others. Refreshingly accurate review of the K1, not concentrating on the areas where the competition is superior as most other reviews do. The point about the limited lens availability is accurate but many of us who use Pentax digital cameras are more than happy to try the biggest selection of 2nd hand lenses in all variations of Pentax mount – and the results are often surprisingly good. Thank you for a great, user-friendly review. I have a K-1 and you are right- I feel amply rewarded for my loyalty all these years. It is an extraordinairu camera in its fit and finish and the results are amazing at default settings and I find very little tweaking to be done after. She’s a bit weighty, but solid. The feature set is sooooo deep I’m still learning things (and was reminded by a few I need to explore by your article). A great feature worth mentioning is “catch focus” which allows me to use my older manual focus lenses at nearly the same speed as my autofocus ones. Pentax optics are unsung heroes. Even from my 6 megapixel ist-d I used up until last year, when paired with Pentax glass, produced results people were always stunned by (as long as I didnt need to enlarge or crop much due to image size). All in all, I have never been happier with a camera and I urge everyone out there to take the plunge, you wo t be disappointed!